The commonest occuring Cancers with the treament options are as follows. 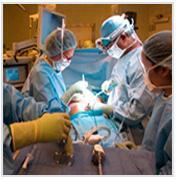 Surgery involves the removal of cancerous tissue from the body. It is the primary treatment for many types of cancer, and some cancers can be cured with surgery. Surgery can also confirm a diagnosis (biopsy), determine how far a person's cancer has advanced (staging), relieve side effects (such as an obstruction), or ease pain (palliative surgery). Chemotherapy is the use of drugs to destroy cancer cells. Chemotherapy drugs fight cancer by interfering with the growth process of cancer cells, eventually causing the cells to die. Chemotherapy is used to shrink or eliminate the tumor, keep the tumor from spreading, destroy any cancer cells that have spread to other areas in the body, or relieve symptoms. 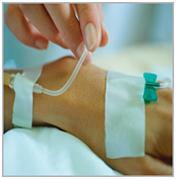 Chemotherapy is called a systemic treatment, because it affects the entire body. Radiation therapy uses high-energy x-rays to destroy cancer cells. 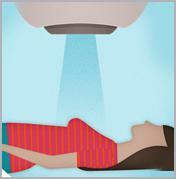 Radiation therapy is considered a local treatment, as it only affects one part of the body. The goals of radiation therapy include shrinking the tumor before surgery, keeping the tumor from returning after surgery, eliminating cancer cells in other parts of the body, and relieving pain (palliation). Biologic therapy, also called immunotherapy, stimulates the disease-fighting mechanisms within the body to fight the cancer. Interferon and colony-stimulating factor are two examples of biologic therapy. These substances help restore functioning of the immune system. Researchers are developing specific types of biologic therapy, such as monoclonal antibodies and vaccines. We provide consultancy on Bone Cancer Brain Stem Glioma, Central Nervous System, Brain Tumor, Breast Cancer, Leukemia, Chronic Lymphocytic (CLL), Leukemia, Chronic Myeloid (CML), Leukemia, Eosinophilic Leukemia, T-Cell ,Liver Cancer, Lung Cancer, Lymphoma, Hodgkin Lymphoma, Hodgkin, Childhood Cancer Lymphoma, Non-Hodgkin, Childhood Cancer Lymphoma, Non-Hodgkin, Pancreatic Cancer, Parathyroid Tumor, Penile Cancer, Pituitary Gland Tumor, Prostate Cancer, Retinoblastoma, Rhabdomyosarcoma, Salivary Gland Cancer, Head and Neck Cancer, Sarcomas treatment in India.